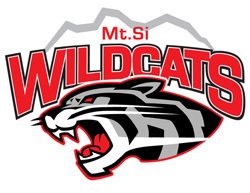 Thank you for your interest and support of Mt Si Wildcat Basketball! Our girls are excited to start a new season and have been working hard, both on and off the court to be the best student athlete they can be. With every season brings a new journey of everlasting memories and friendships. Our girls are excited to play the game of basketball for their community and compete with their peers as a team. They hope to display hard work, discipline, and a competitive edge that will create a level of tradition in the community that supports Wildcat Basketball. The success of any program always begins with the support of the community and the evolvement of its youth programs. As the Head Coach of a program, it is imperative to have continuity throughout. One of our main goals will always be to connect with the the youth in the community and their coaches. Our program’s goal is to create more opportunities for the girls in the Valley to learn life lessons and grow as a young adult from the great game of basketball. Please acknowledge and support these fine young ladies at a game this season by being a positive and supportive fan.